Last week I had the honor of speaking to a group of key leaders at Facebook. As I was preparing for this speech I was nervous that the content I was presenting might lack enough umph for this brilliant bunch of executives. SCOUTING: I carefully thought in depth about who would be in attendance, what each person did for Facebook, and what macro challenges the company was facing. I even gave considerable thought to each slide I would present. That said, I still had my doubts. I am proud to say that my presentation was relatable and added value for this brilliant bunch of leaders. In fact, there may be a future opportunity to do some work with Facebook, which is beyond cool! I thought to myself afterwards, why did I second-guess myself? I had done the proper scouting and I put in the hard work to ensure success. When I do this for a hunt I know that I place myself in the best position to be successful. The same thing holds true when preparing for a big meeting or a speaking engagement. The bottom line is, when we put in the scouting we should feel confident in what the hunt will bring our way. When You have Your next big meeting, pitch, or hunt for that matter put in the proper scouting and know your audience and know their needs & pain points. Then make sure You make the pitch all about how You will add value or help them and You are sure to be on a winning path. The keys to successful meetings lies within how much You focus on helping the other party and how they will be different after it is done. 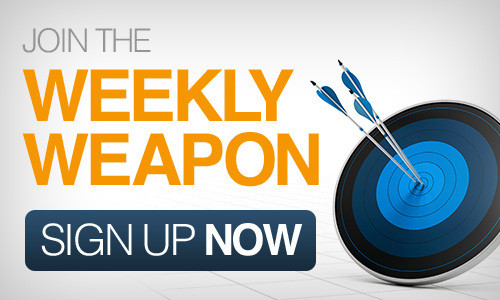 This entry was posted in Your Weekly Weapon With David Farbman on March 7, 2014 by David. ← My Journey Into The Uncomfortable: ASKING FRIENDS FOR HELP!